New product. 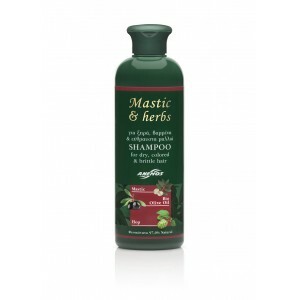 Fine shampoo with mastic, hop and bio Olive oil. Shampoo specially formulated for dry, brittle, or dyed hair. 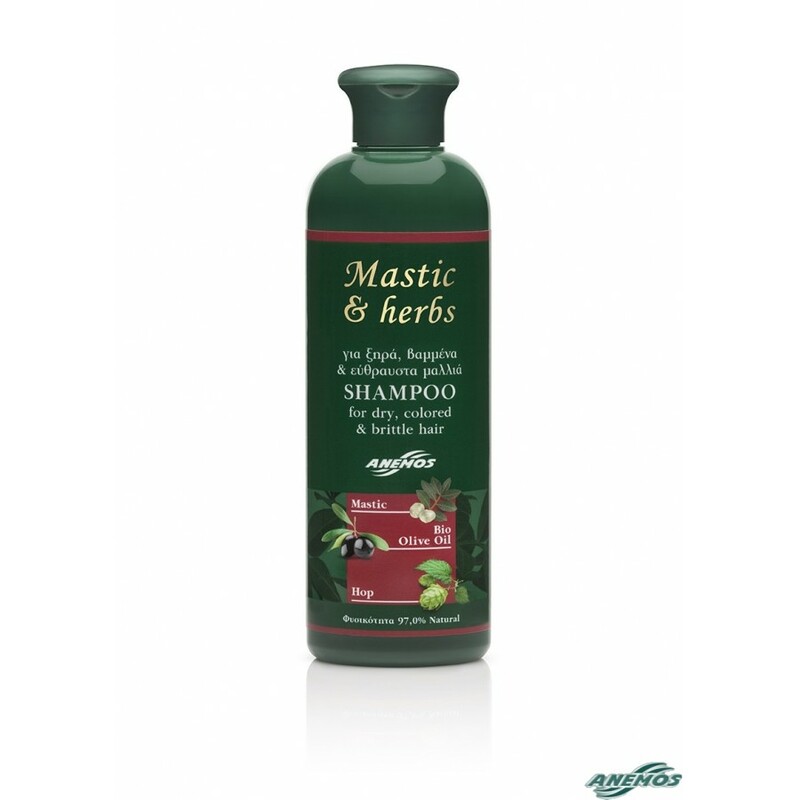 Mastic oil, along with the rest of the active ingredients help to effectively protect, moisturize and strengthen weak and brittle hair. Cleans your hair and scalp drastically but gently. The hair becomes healthy, strong, silky and soft. Natural shampoo with a special formulation for brittle, dyed or dry hair, with organically grown olive oil. Shampoo with ingredients which are 97% of natural origin! Once a week (or more frequently) you could use one of our hair masks for silky, strong, shiny, easy to comb hair -especially if you have weak, dry, brittle, or coloured hair. You will be surprised by the results!